First Listen: Wilco, 'The Whole Love' The band's latest album strikes a balance between the weird structural wizardry of Yankee Hotel Foxtrot and the down-home songwriting of Wilco's early work. 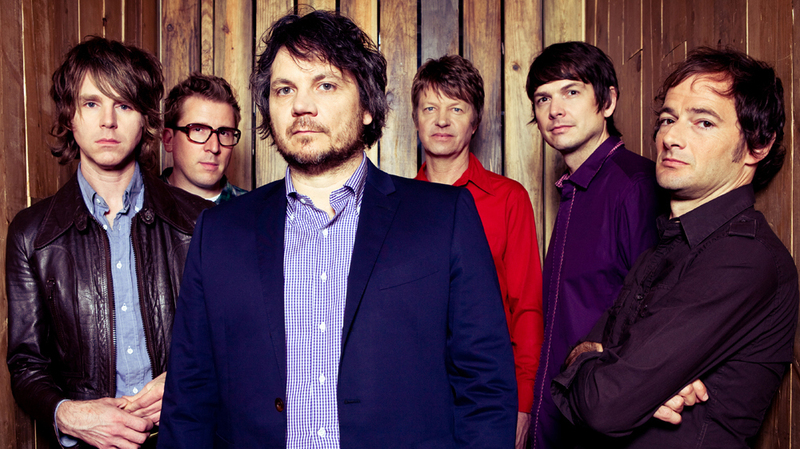 Wilco's new album, The Whole Love, comes out Sept. 27. Wilco's more than 15-year evolution as a band has featured a stunning series of sonic ebbs and flows. The group's revolving cast of members started off recording country-flavored pop songs with fairly standard chord progressions, rhythms and instrumentation. But each album that followed Wilco's 1995 debut, A.M., grew increasingly experimental, culminating in 2002's brilliant but polarizing Yankee Hotel Foxtrot. The record earned Wilco vast critical praise and attracted a massive new audience, but it also alienated many fans of the band's earlier, more traditional songwriting. Then, over the course of three more albums, Wilco retreated from its arty studio tricks and returned to safer, more conventional music-making — which led to more head-scratching. What kind of band is this? What does it want to be? Listening to Wilco's latest album — The Whole Love, out Sept. 27 — it's clear that the group's members are just a bunch of talented, inspired and entirely genuine music lovers who stay married to few, if any, rules. They both embrace and dismantle the elements of songcraft as an endlessly malleable art form, and do it so gracefully that they've made Wilco perhaps America's best band, even if the results are sometimes mixed. On one hand, The Whole Love is Wilco's most adventurous record in a decade. The band is back to playing with polyrhythms and structure, often abandoning typical verse-and-chorus lines for less linear and more surprising songs. But they also include cuts that would fit comfortably on some of the band's earliest records. The Whole Love's seven-minute opener, "Art of Almost," is an epic, sprawling, magnificently disjointed song full of strange textures and unexpected twists. But it's followed by "I Might," a candy-flavored pop song like something from 1999's Summerteeth. In "Dawned on Me," dark, thrashing guitars clash with delicate vocals and a lovely, hopeful melody. "Born Alone" is one of the catchiest songs Wilco has ever produced, while "Capitol City" has an almost goofy shuffle like something from an early Randy Newman record — not that there's anything wrong with that. The Whole Love closes with "One Sunday Morning," a moving 12-minute meditation on growing old and battling inner demons, the strained relationship between a father and son, and the weight of bitter regret. Wilco's gifted frontman and primary songwriter, Jeff Tweedy has been making music for nearly 30 years, going all the way back to his earliest days in the early-'80s rockabilly band The Plebes, and he's never pretended to owe anyone anything. He takes his songs where his heart and imagination lead him, and regardless of which camp you fall in — pre- or post-Yankee Hotel Foxtrot — the results are always rewarding.